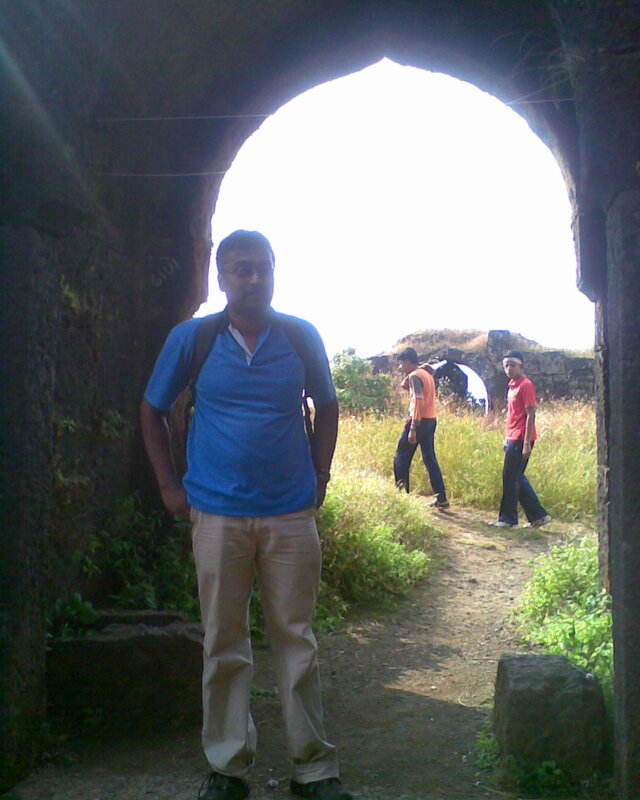 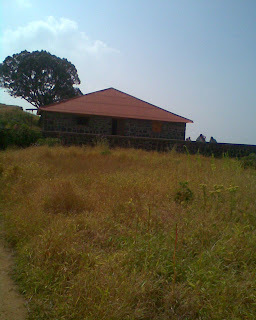 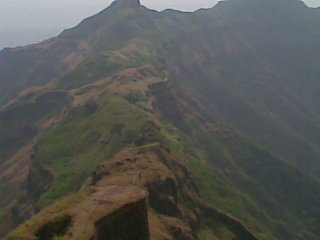 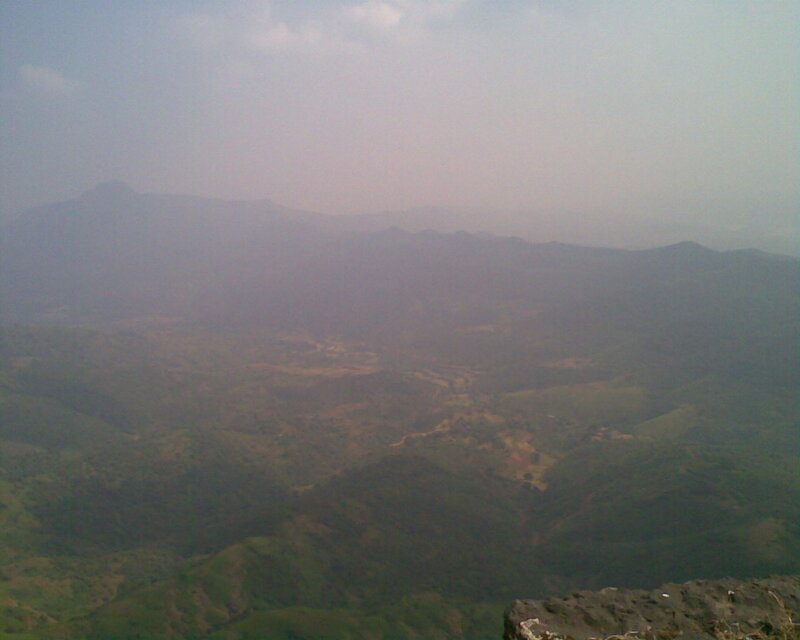 As I said before,I was just able to reach Torna fort top last time but was not able to see the whole fort. 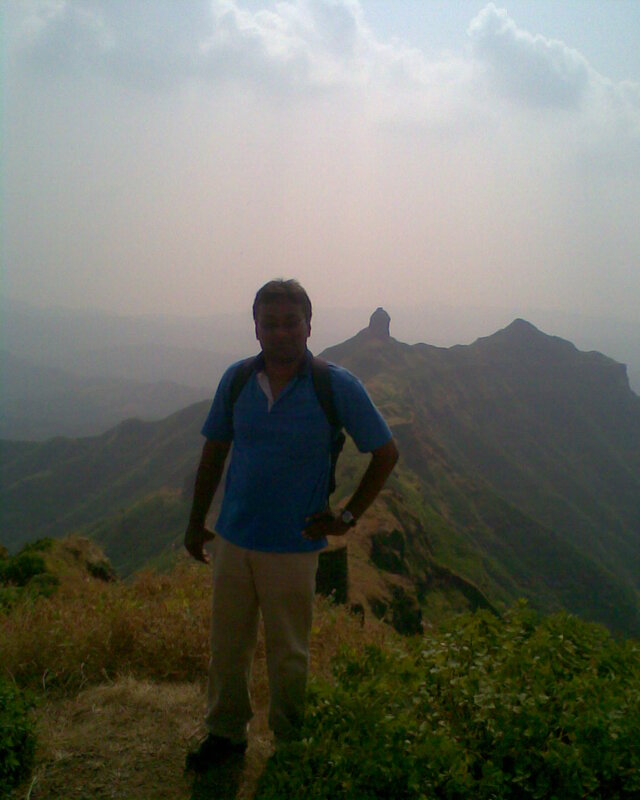 Well this time,I climbed the Torna fort in just 1 hour and 15 minutes and that too walking at the speed of tortoise hence I did this trek almost nonstop.Only a 5 minutes break. Well at Velhe the base village,I met 2 more trekkers Amit Sisode and Dr Ranjit who already did Rajgad previous day,halted there and next morning came to Velhe. I reached Velhe by around 10:30 am and thereafter I started climbing around 11:00 am and reached the top around 12:15 pm. 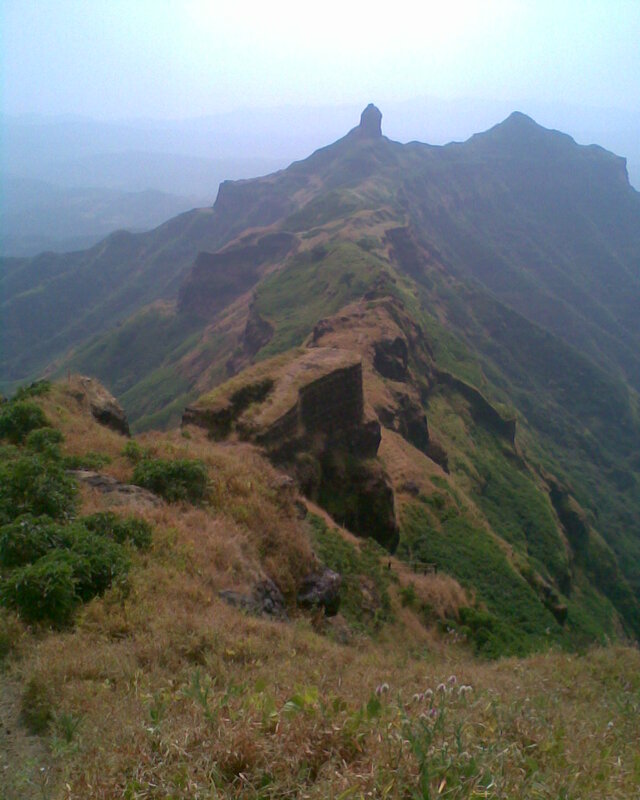 Once you reach the top,there is very much to see. 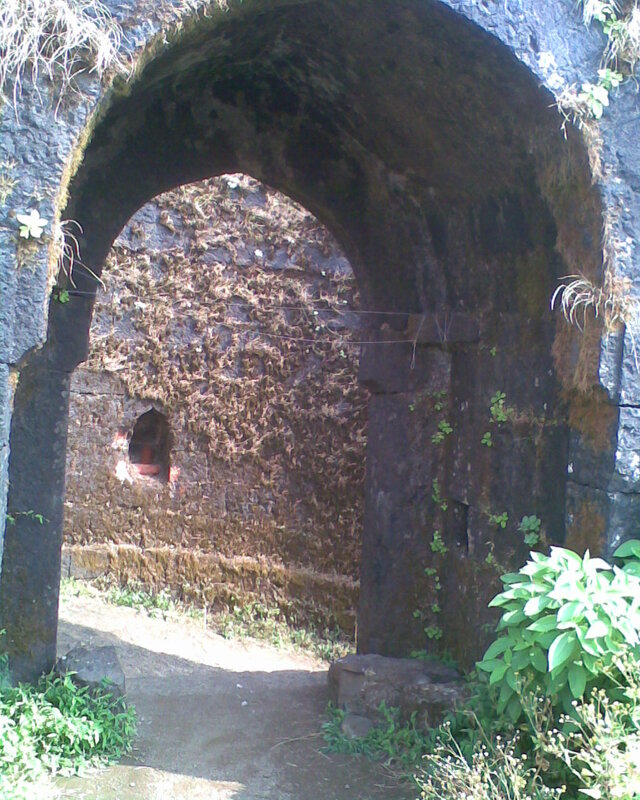 Once you enter the second entrance door, there is one temple to the left called Toranjaai mandir.It is believed that Shivaji maharaj found gold coins at this place.Next is a water tank having good drinking water and there are 2 houses nearby for accomodation. Hence Mengai devi temple is the main landmark hence in case of loosing the way on fort,always remember that this temple is the center point of the fort. 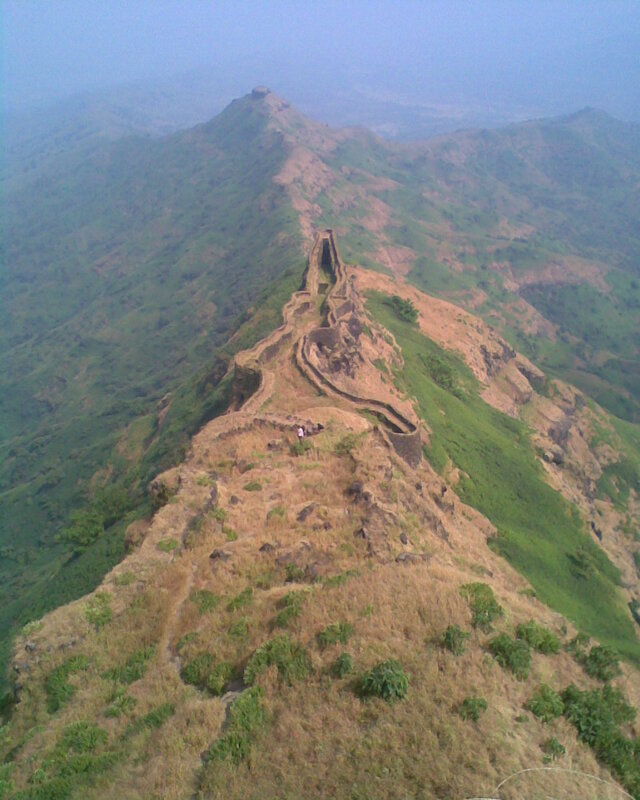 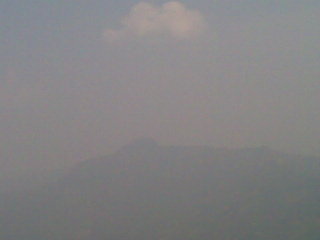 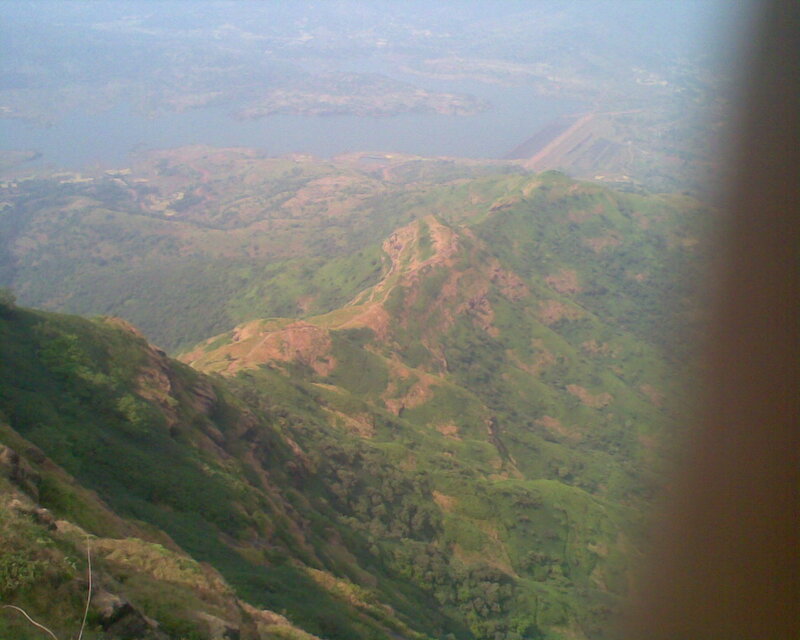 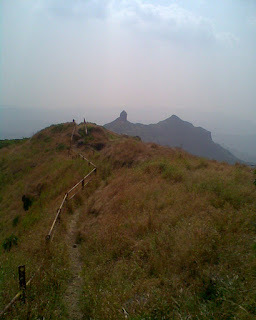 Also from here,you have a path going towards Rajgad.It is one of the difficult route with a long and exhaustive walk. Torna that time was like a safety deposit locker where the royal treasure was safely deposited. 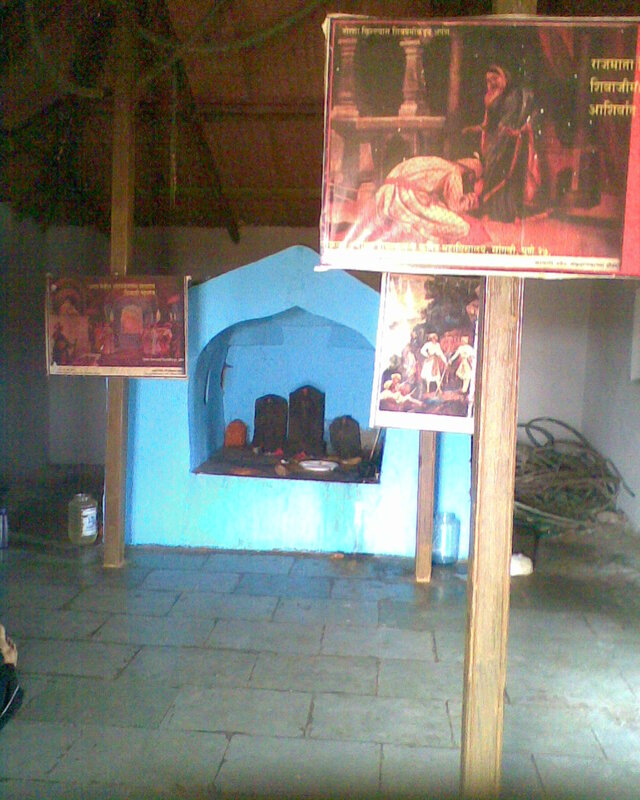 Mengai Devi Temple on top.